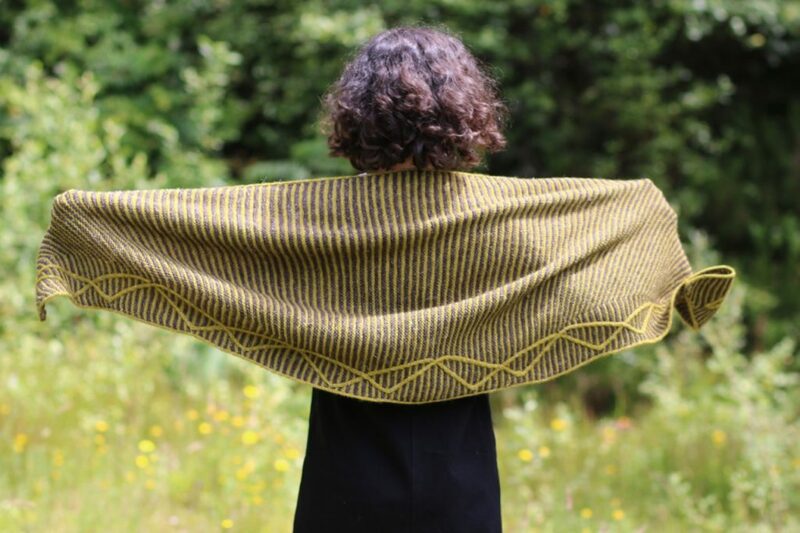 We are on the last pattern of the Nua Collection Volume 2; Birman Shawl. Today is the last day that you’ll get an automatic 10% discount off the collection, tomorrow it becomes full price. The entire shawl is worked in one piece with the edging worked at the same time (slip stitch I-cord work the same as the cable). It starts at the tip of one end, increases and then the cable begins. You keep increasing until you reach the width you want and then work straight, finally you begin decreasing at the other end. 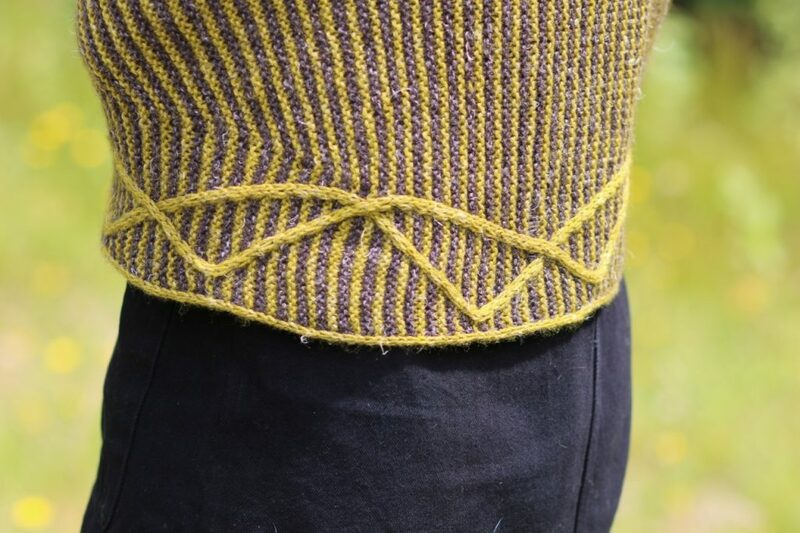 This type of construction makes it very easy to decide how big you want it and to make the most use of your yarn. If you want it wider you work more increases and if you have less yarn you can omit some of the middle straight sections. 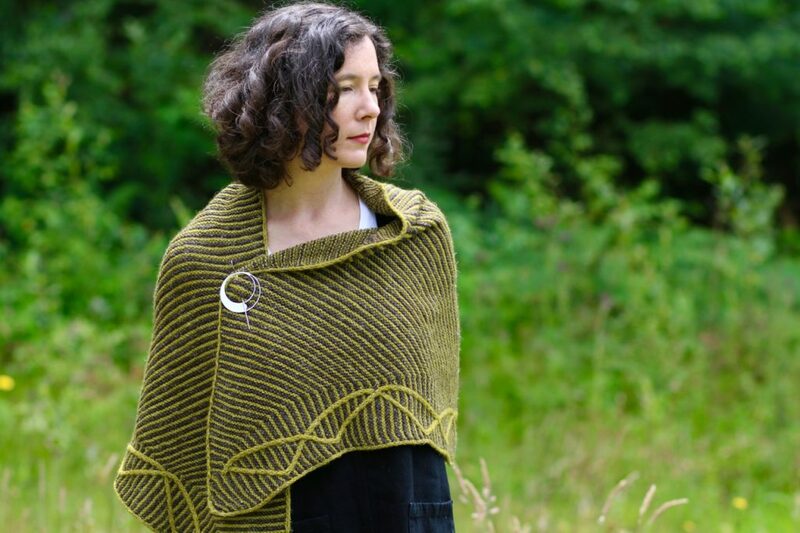 You can see that it’s a nice size shawl that comfortably wraps over your shoulders. The version I made used almost all of the yarn suggested so if you want to do extensive swatching you might need to get a little extra.